Our facilitator for this month is Joy Ofrecia. 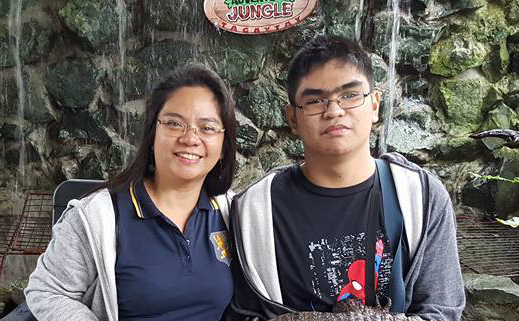 She is a mother of two, Juris 17, he has autism & Patricia 16. She has been a hands-on mother and for 15 years, has been implementing home intervention programs along with other school/center-based interventions for her own son and 10 years for other children with autism. She has earned her Master’s Degree in Special Education from Angeles University Foundation. She conducts training to parents and professionals and orientations to different organizations and institutions on autism. She is the current president of the Autism Society Philippines City of San Fernando Pampanga Chapter and Program Director of Noah Autism Resource Center. Teacher Joy finds her fulfillment in her role as an advocate of autism and an instrument to empowering parents of children with special needs. Her passion in what she does is fueled by the firm belief that she was tasked to fulfill God's purpose for her life.